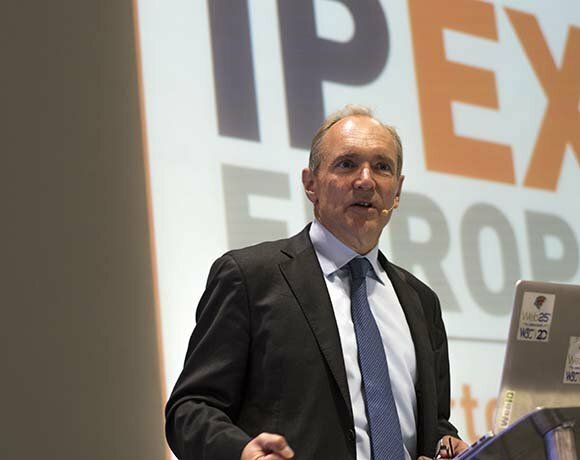 The question of how much data an individual should share was a key theme of Tim Berners-Lee's keynote speech at IP Expo in London. "We need to make systems more open, because medical research on patient data is really important," he said. Commenting on the US Patriot Act and spy agencies tapping internet traffic, Berners-Lee said: "I think surveillance is inevitable but not acceptable. We need a system built where there is an agency that watches the watchers." He also warned there needed to be a change in attitude. "Big data leaves a lot to be desired. We have to move on to a world with different attitudes," he said. "We see gruesome things and people will try to exploit it, but the web is not there to judge. It would be terrible if we had a web where you could only do nice things," he said. Some people argue the only way to protect the web is to make a walled garden of safe content, but Berners-Lee disagreed. "The world I see is predicated on an open neutral network," he said. While the web is often criticised for being insecure, he argued it would not have succeeded if security was watertight. Looking at the global adoption of email, which is analogous to how the web has spread, Berners-Lee said: "It would have been really interesting if the email protocol needed a public key. It would not have taken off. "We have to fit in security after the fact, but it would not have worked any other way," he added. He did not agree with the right to be forgotten on the internet, since it went against freedom of speech. While libel and slander legislation are there to protect people when the information about them in the public domain is wrong, he said: "The idea information that is true is expunged from public record is repugnant."